In this write up, you will learn how to change out your cruise toggles. 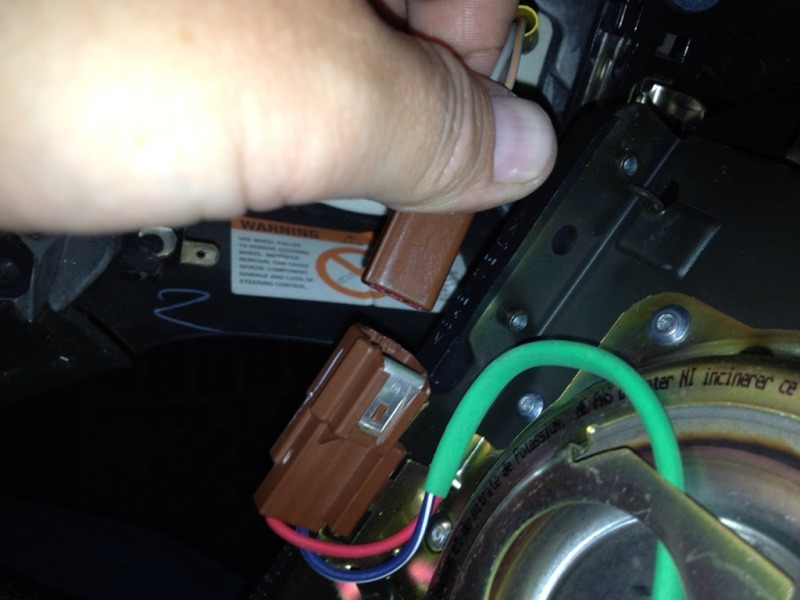 This work was performed on a 2001 XLT. 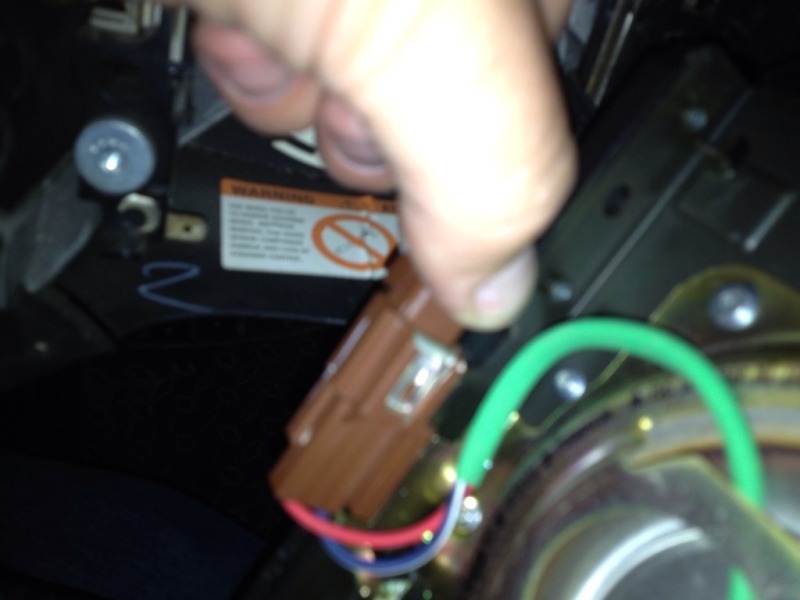 Disconnect your negative battery terminal!! THIS IS A MUST! Using your flat head screw driver , pop off the two circular caps located on the sides of the steering wheel. 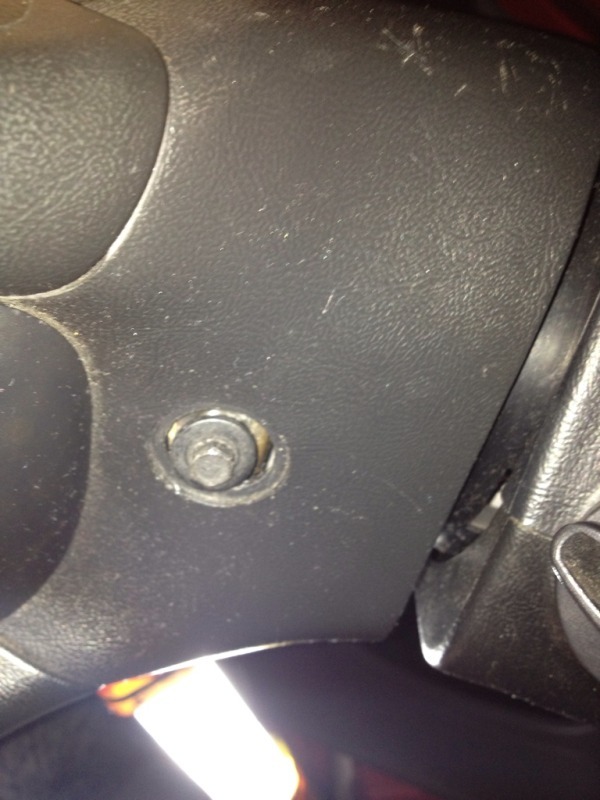 Locate and remove the two 8mm bolts that hold your airbag to the wheel itself. 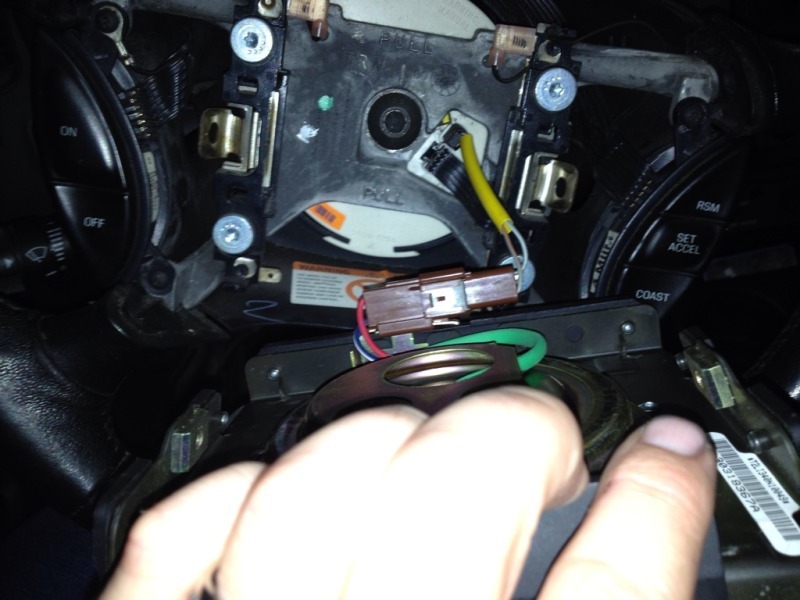 Gently pull the airbag straight out and locate the wire harness. Congratulations! 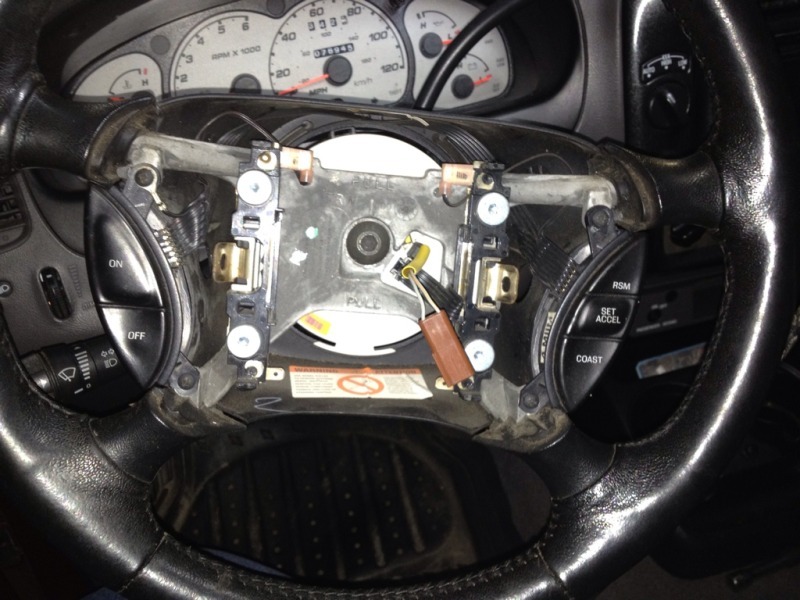 You have successfully changed out your airbag!